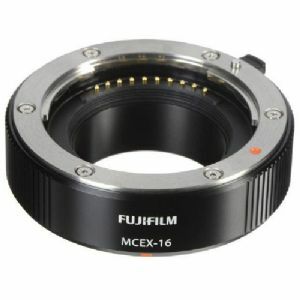 The Fujifilm MCEX-16 Macro Extension Tube is designed exclusively for X-series cameras. It is a simple small tube that duplicates the lens mount a bit further from the sensor plane than usual. Mounting this extension tube between a lens and a camera body increases the distance between the lens elements and the sensor enabling users to focus closer than the normal minimum focus distance of the lens. Buy Fujifilm MCEX-16 Macro Extension Tube now!